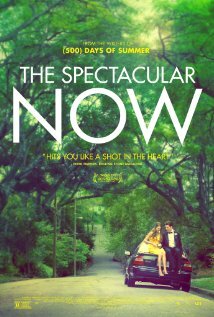 Lot of folks have really been digging The Spectacular Now which made its way through Seattle during SIFF this year. If you haven't had a chance to see it yet then I've got good news for you. Due to the generosity of the folks promoting the film locally I've got a number of opportunities to grab passes to a free preview screening on August 7th at 7pm (at the Harvard Exit). All you need to do is go on over to Gofobo.com and if prompted use super special code RWTFM2JV. As always you'll need to log into their site, get to the theater early as it's potentially overbooked and be prepared for someone to want to grab your phone. Though for some reason I've had less of those sorts of issues at the Harvard Exit in the past. The film has a nice throwback vibe to the great teen films of the 80's and overall is a good watch. Though if I'm being honest I wasn't quite as blown away by it as some of it's strongest fans. Maybe it's because the "A hard-partying high school senior's philosophy on life changes when he meets the not-so-typical 'nice girl.'" description made me think it was going to be a bit different than it was. Though I've grown to respect the bite and realism that the film brings to the coming of age seen through a John Hughes/Cameron Crowe-esq lens. Even if I didn't go in expecting to see something about a teenage alcoholic that alternated between sympathetic and one of the douchebags from Project X that I wanted to slug. That said both leads deliver on their roles effectively as they seem to be written. But no need to trust me or not. Grab some free tix and check it out! And let me know what you think afterward.